Antarctica is one of the last great adventure frontiers. 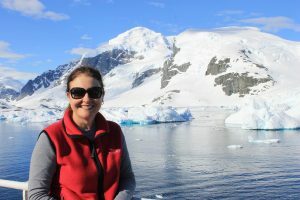 Leanne has recently returned from her Antarctica adventure and has all the insider information. And, with so many different ships and so many companies now travelling into this region, let us make your selection of the right trip for you a reality. Back Track was one of the first pioneer companies in the world marketing trips into these destinations. We are experts in Polar travel. DATE: Currently none scheduled, but complete the form below to be kept up to date for the next one! FREE but RSVP Essential: call 07 3850 7600 or RSVP with the form below.